The Foodies Circle along with D went to Kapitolyo last December for an annual (Yes, I'm hoping it would be a yearly tradition) Christmas dinner. 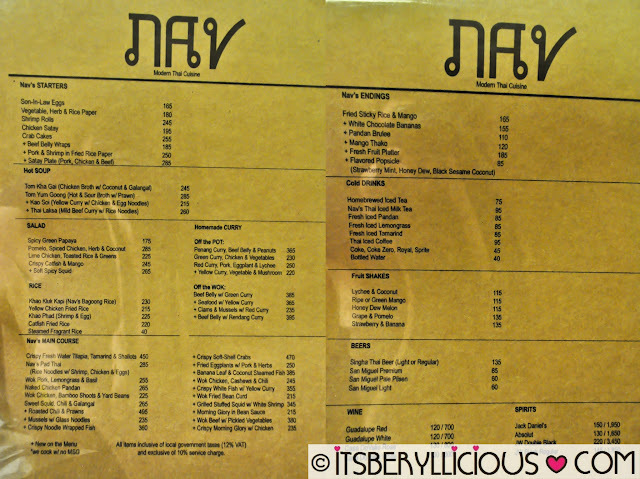 We've always wanted to do a food trip around Kapitoylo, but due to its very far location, we seldom visit the area. 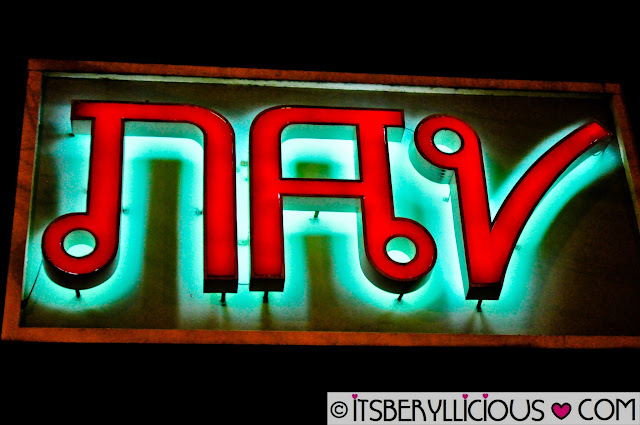 Since this was a special occasion, we didn't mind the drive and unanimously agreed to try Nav- Modern Thai Cusine. We started off with Nav's Vegetable, Herb & Rice Paper which is a fresh and light appetizer to start with. 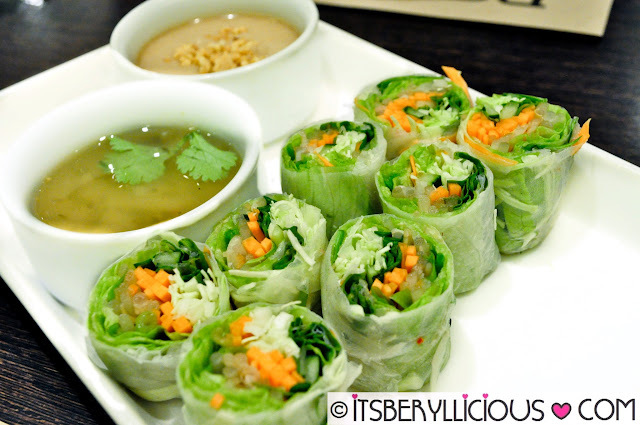 Crisp vegetable strips in thin translucent rice papers paired with peanut and tamarind dipping sauces. 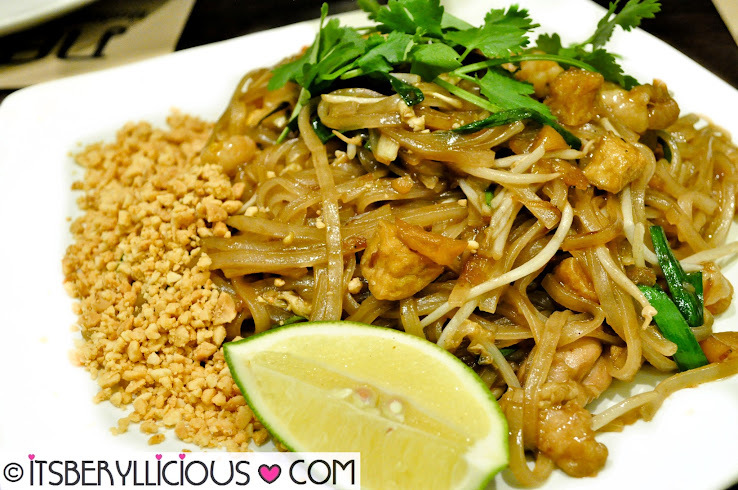 No words could explain my love for Pad Thai. In fact, even the simplest Pad Thai pleases me. Now, Nav's version was way beyond my expectation. Everything was perfect from its presentation, taste and texture. I love the firm and chewy noodles, crunchy beansprouts, tofu cubes, shrimp, chicken, eggs and nuts. Squeezed in some of the lime juice and it was like a party in my mouth. 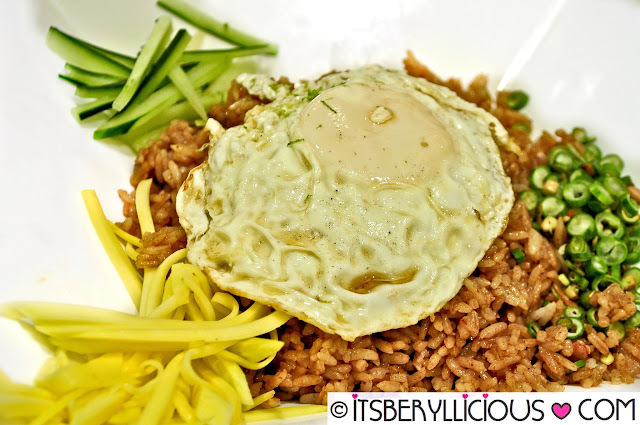 We also ordered for D's favorite Thai dish which is the Khao Kluk Kapi or famously known as Bagoong Rice. A generous serving of the rice dish topped with a sunny side up egg, green mango strips, cucumber and chili. Subtle notes of bagoong yet the dish was very flavorful. I wonder where all the meat go? Since the bagoong rice got no meat on it, I enjoyed pairing it up with this Beef Belly w/ Rendang Curry. 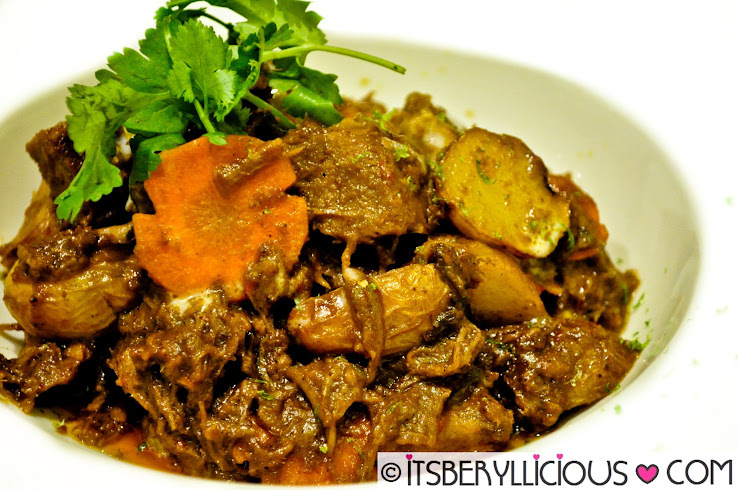 The beef was so soft and tender in a rich and creamy curry sauce. Every spoonful was bursting with bold flavors of sweet, tangy, and spicy combination that enhances the whole dish. 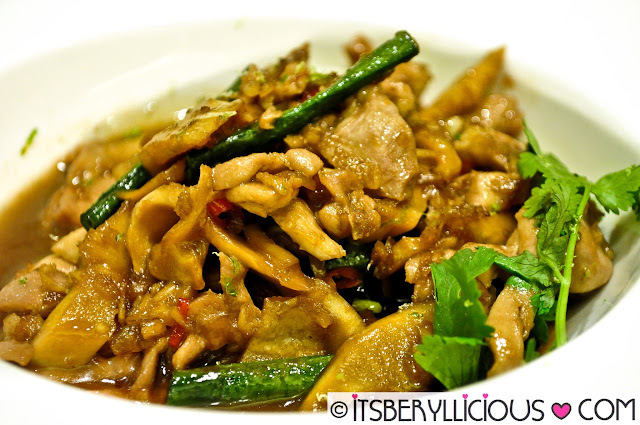 Light and tasty, the Wok Chicken, Bamboo Shoots & Yard Beans is quite simple with tender chicken slices and crunchy bamboo shoots and beans. Nothing extraordinary but it is somehow a safe dish to order if you're not much into Thai "spiced" dishes. 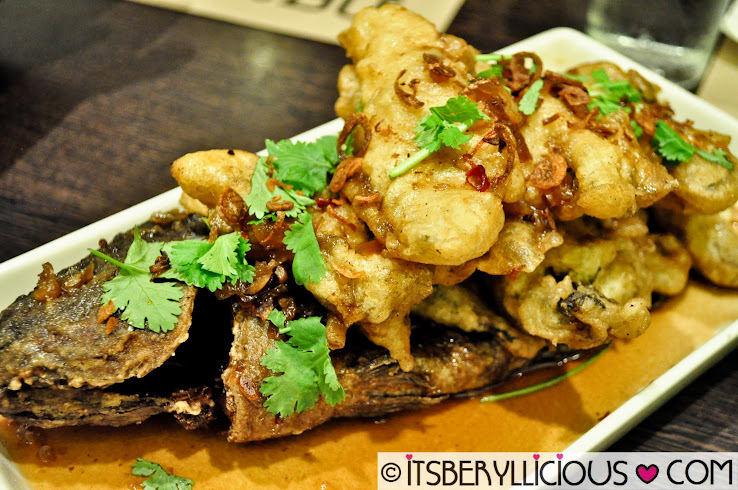 Last and probably our least favorite dish that night was this Crispy Fresh Water Tilapia, Tamarind & Shallots. It looked visually appealing and enticing with crispy battered fish fillet resting on top of the whole fish. However, we found the batter too thick making it hard for us to finish the order. Nevertheless, I enjoyed my serving of the crispy fins, tail, and all other crispy parts of the fish underneath. Everyone enjoyed our first Christmas dinner together. Everything was perfect! The place, food, service, and of course the company. Looking forward to our next Nav visit. Expect us to be back for more. It was definitely worth the trip! i like eating thai food. the appetizer looks good.